Geraldine has a connection to Orange in that during her working career at a centre in Sydney she used to get on a tiny plane with some other professionals and come out to Orange. Going back home always left her with a feeling that she would like to do more. Mike is employing his Investment Banking background and experience in Sally Projects in Zimbabwe to help foster the involvement of local organisations and the community in the Canobolas Big Picture program and promote other Sally initiatives in the Orange region. Together through Sally Foundation, Geraldine and Mike are trying to be a catalyst in the Orange region. 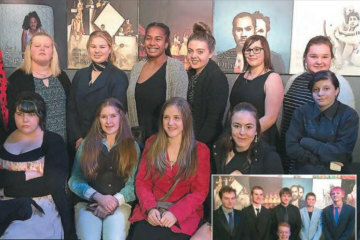 They are a strong believer and supporter of the Canobolas Big Picture Academy Program and its ability to result in young people that are able to say 'it changed my whole life' - leading to independence and pathways to leadership in all forms. In an interview with the ABC, Geraldine explains her inspiration and aspirations for Sally's work in Orange. 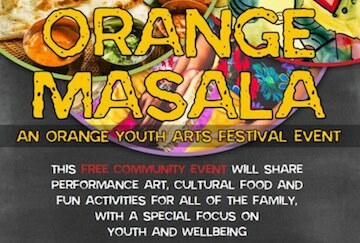 Sally conducts its programs in Orange in conjunction with our partner, FRRR (Foundation for Rural & Regional Renewal). 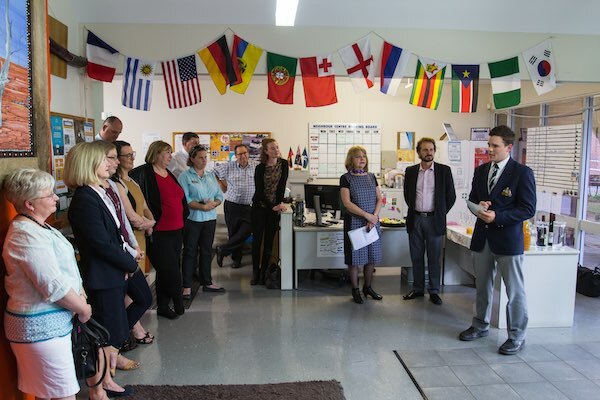 Based on research conducted by Australian Philanthropic Services, Sally selected Orange as its core regional focal point and the Canobolas Rural Technology High School Big Picture Academy as its core project for support. The Academy commenced using the Big Picture learning framework in early 2016. Sally complements the Big Picture Academy program through its annual Sally Foundation Small Grants (Orange) Program to assist with youth related programs in the area. The grants are made by a committee which includes a majority of Orange based community leaders. Outside the annual Small Grants (Orange) Program, Sally contributes to other projects and ideas around Orange. Sally uses a "wide-angled, multi-faceted lens" through which to work more effectively in the community. BIG PICTURE - What is it? 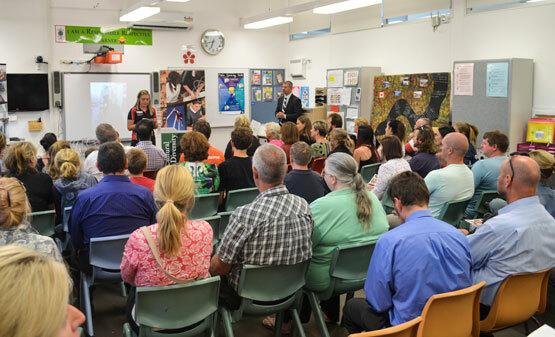 Big Picture Education Australia believes that innovative and diverse designs are needed within the public school system to meet the needs of those that the current educational structure does not support. Rather than a ‘one size fits all’ approach, Big Picture Education focuses on individual learning and engaging students on a personal level. They believe that true learning takes place when each student is an active participant in their education, when their course of study is personalised by teachers, parents and mentors who know them well, and when school-based learning is blended with outside experiences that heighten the student's interest. 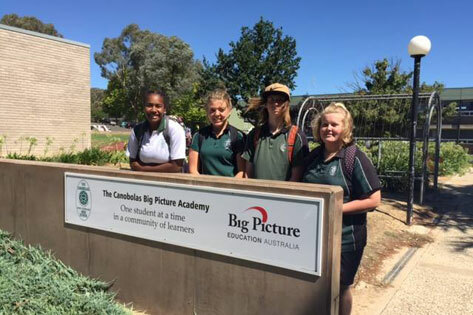 Canobolas Rural Technology High, Orange, joined the Big Picture program in early 2016. It provides a different style of learning to help students follow their interests as demonstrated in the video above. Big Picture schools educate one student at a time. Each student’s learning is based on the student’s own interests. Mentors in the community make the learning real. Families are involved in the learning. Big Picture learning supports young people to become lifelong learners, productive and engaged workers. 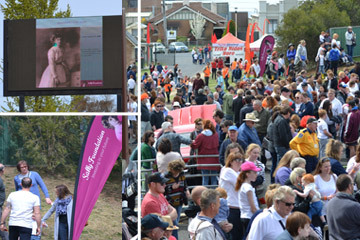 Rotary Club of Orange have established a Donation Account at FRRR dedicated to Canobolas Big Picture program. You can also donate, using the link below. The Sally Foundation Small Grants (Orange) Program offers grants to youth programs in the area. The grants are made by a committee which includes a majority of Orange based community leaders. 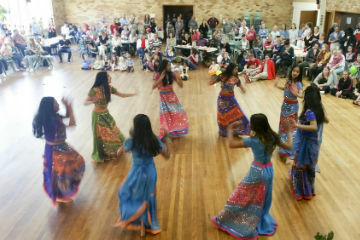 Grants go towards supporting community based activities that are targeted at young people and that directly/indirectly benefit youth in or around Orange, NSW. If you wish to help 'Sally' increase the size of the Small Grants (Orange) program, please donate via the FRRR site using the link below. 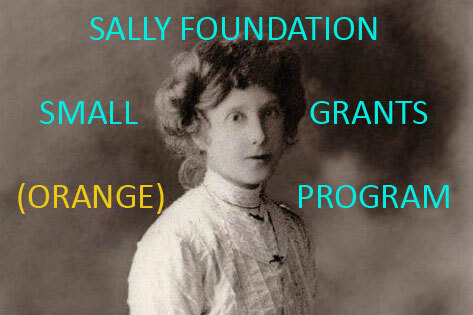 Sally Foundation undertakes to add 100% of all donations to increase the size of the program. 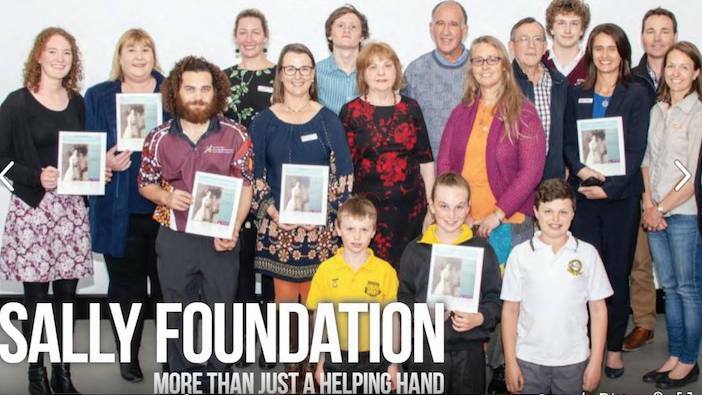 In October 2018 the Sally Foundation announced 8 local community groups to each receive grants of up to $3,000, in this 3rd year of the program. Through the annual Sally Foundation Small Grants (Orange) program, we ask the people of Orange what they want to do, what is important to them. We want this to be locally driven, and so have three members of our Small Grants Assessment Committee who live in Orange and are involved directly in the community. 2018 Grant recipients come not only from Orange, but the surrounding areas of Millthorpe and Conowindra. They cover a cross-section of community needs such as mental health, youth mentoring and career planning, skills training, pilot programs, art mentoring, and a youth events space. The table below details the 9 grants in the 2018 round. In October 2017 the Sally Foundation announced the 10 local community groups who will each receive grants of up to $3,000. Sally Foundation takes the approach of investing in young people and the community, rather than simply making donations. Applications were assessed by the Small Grants Orange Program committee, including locally-based members representing the broader community. The table below details the 10 recipients of grants in the 2017 round. Via the Sally Foundation seven local community groups will each receive grants of up to $2,500 in the inaugural round of Sally Foundation Small Grants (Orange). The table below details the recipients and the audio/video is Mike discussing some of the projects chosen. Audio interview courtesy of ABC Central West. 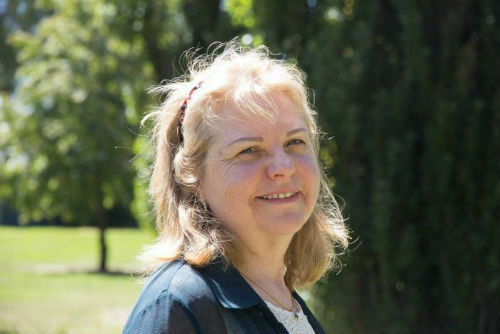 In 2015 Sally supported the TEDx Orange program as it is of benefit to the local community. 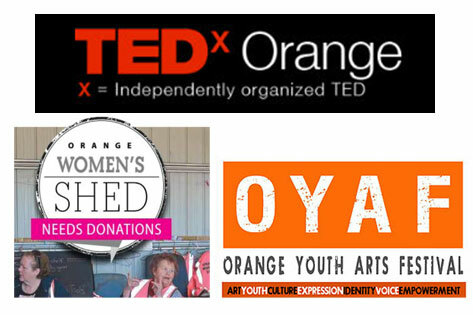 This was the inaugural TEDx event for Orange. 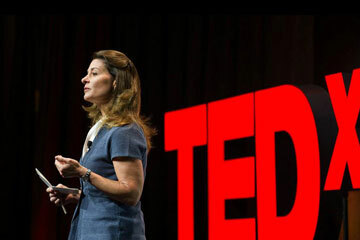 You can view the talks on YouTube. 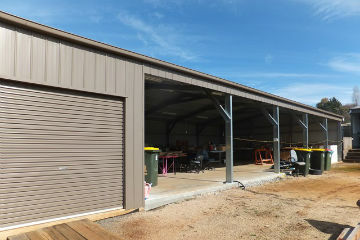 When the Orange Womens Shed asked for help because their space was fully exposed to the elements on one side, Sally responded with a donation of $4,400.